Dr. Naheed Dosani is a passionate and respected advocate for marginalized & vulnerable populations with palliative needs. He serves as a Palliative Care Physician at the Inner City Health Associates (ICHA) and William Osler Health System (WOHS). He recently completed the Conjoint Palliative Medicine Residency Program at the University of Toronto and prior to that, a residency in inner-city Family Medicine, where he was elected by his peers as Chief Resident of St. Michael’s Hospital’s Family Medicine Residency Program. After completing his training, Dr. Dosani founded PEACH (Palliative Education And Care for the Homeless), a mobile, street & shelter-based service aimed at providing palliative care for the homeless & vulnerably housed. Through PEACH, he provides Toronto’s most marginalized populations with compassionate care and a dignified approach to their end-of-life journeys. More recently, he was awarded the 2015 Early Career Development Award by the College of Family Physicians of Canada. 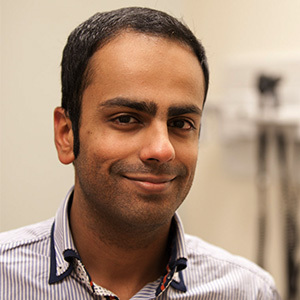 In addition, Dr Dosani is an Assistant Clinical Professor in the Department of Family Medicine at McMaster University and Sessional Lecturer in the Department of Anthropology at the University of Toronto Scarborough Campus (UTSC). He serves as Palliative Care Regional Medical Lead for Central West LHIN & Central West CCAC and as Section Editor for the peer-reviewed, Canadian based and internationally distributed academic journal, Current Oncology. Committed to addressing the social determinants of health, Dr Dosani sits on the Board of Directors of the Agincourt Community Services Association (ACSA) and as Vice-Chair of Health Providers Against Poverty (HPAP). He is an educator, researcher and advocate, focused on innovative and evidence-based solutions to reducing health disparities.